Freedom Alliance recently teamed up with four Northern Virginia Chick-fil-A locations and two local schools for a “Gifts from Home” care package drive. 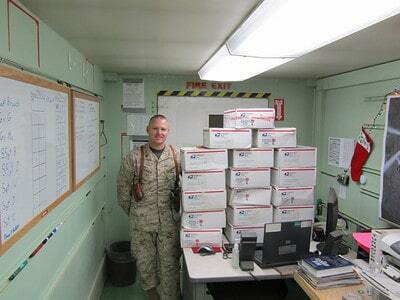 Three hundred sixty care packages were shipped overseas this week due to their efforts. “We were so excited,” said Barb Bechtel, director of Chantilly Academy Preschool. While focusing on a project that taught the kids to “pay it forward” the preschool sent notes home asking parents to have their child participate in gathering items like candy, toiletries, games, non-perishable food items, and magazines. Students at Countryside Elementary also participated “There were prizes and the top five classes won a Chick-fil-A luncheon” said Tracy Reynolds, President of the Countryside Elementary PTA. Countryside’s third grade class collected the most amount of boxes.